Unic AB has developed a LSD for motorsport with a lot of new features. The Unic LSD is lighter, stronger, and easy to adjust. In less than a minute the preload can be set to match the actual track conditions. It is in stock for Volvo M30-31. 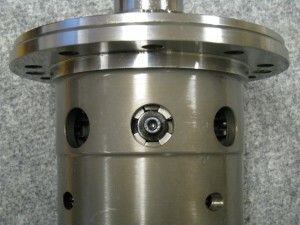 Using a screw installed on the back cover, the preload can be adjusted between 0 and ~12kpm. Together with the other settings as ramp angles and number of friction surfaces, this will suit all running conditions. The ramp system is designed using rollers and not the usual steel to steel friction. This mean the LSD can be less aggressive but still provide enough locking torque at acceleration, and release earlier when the throttle goes off. 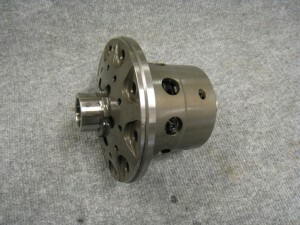 At medium throttle or in high gear, the reduced diff lock will increase the side grip. The design of the friction disc’s will allow the oil to drain faster and the braking torque comes quicker. The disc’s have a special coating that will prevent sticking and “slip-stick”. They are also designed with “flexing” splines to enable micro-movements. All resulting in less noise and a smoother function. The Unic LSD have more disc’s and will use up to 16 friction surfaces instead of the common 8-12. This makes it very powerful and is able to lock even at very high torque. Yet the load on each surface is less, resulting in less heat and the LSD will last longer. All parts are made in high quality steel and case hardened for the best strength. A slimmed design and material cut out’s gives the Unic Volvo LSD a total weight of only 6.8kg, which is the far lightest on the market. 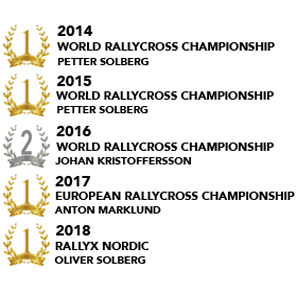 In order to offer products of the highest World Championship level, we need to use materials of absolute top quality, and here are some of our most important partners. The SKF bearings high quality and superior ability to withstand loads helps us in our constant quest for durability and low weight. Copyright © 2019 Unic AB. Alla rättigheter förbehålls / All Rights Reserved.